My very first two short stories, “The Angel of Fremont Street” and “Fortune”, will be reprinted as an ebook by Upper Rubber Boot Press! The title of the ebook is “The Selves We Leave Behind”, and you’ll be able to order it here. Those of you who have Ravens in the Library and have read “Fortune” will know that it’s been “The Angel of Fremont Street”‘s twin all along. Very happy to be able to give it a wider audience. 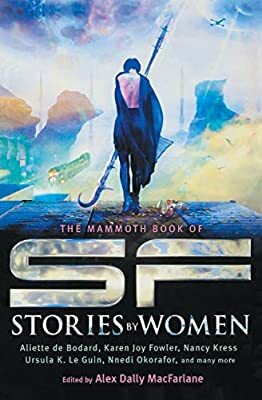 “Valentines” will be reprinted in The Mammoth Book of SF Stories by Women, edited by Alex Dally MacFarlane – check out this amazing table of contents! And “The Library, After” is having an afterlife of its own; it’s been reprinted in Mythic Delirium #30, the final print issue of MD and a retrospective of editor Mike Allen’s favorites. I am honored to be included. Traditionally, the Rhysling award winners get reprinted in the Nebula Awards Showcase. Which I guess runs a few years behind, because the 2014 showcase, coming out in May, reprints 2012’s winners! So look for that soon!